I have a set of vector lines (which represent translation vectors for georeferencing). Based on the layer CRS, how can I compute the coordinates of each line in an attribute table ? i.e (Xmax-Xmin; Ymax-Ymin) for each line. I have managed to get the line length with $length in the expression editor but I am struggling with other geometrical parameters. Edit: I am looking to "store the formula" within the layer. The idea is to keep these values automatically updated with the geometry. (Auto)update should happen if a new line is added or modification of the current geometry is done. 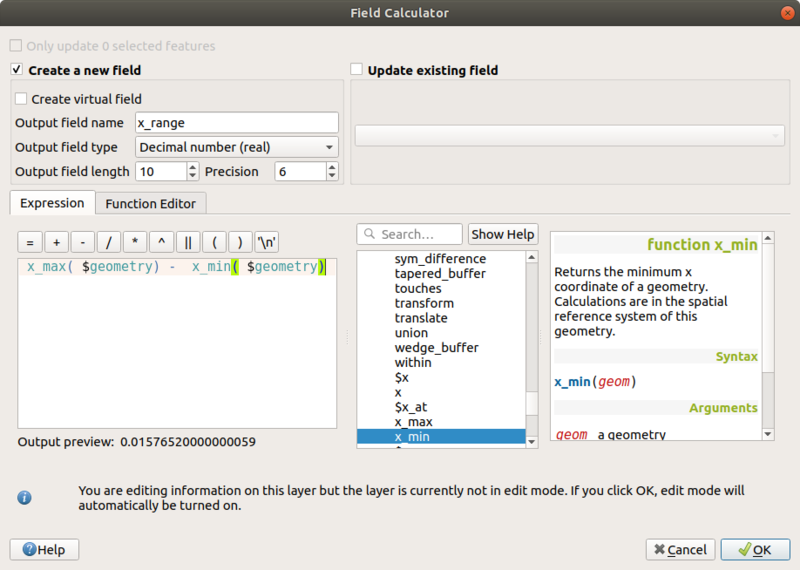 You can use the Field Calculator. 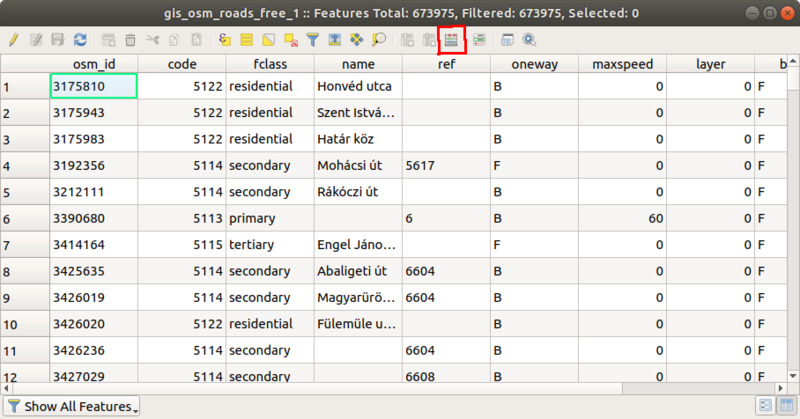 Open the attribute table of your line layer and select the Open Filed Calculator icon from the toolbar. I use an OSM road layer. You can create a column for y_range in a similar way. pyqgis - Editing a feature - Is it possible to set a listener? QGIS opening shp file: why does it crash? How can I get repeated vector grid in horizontal direction?